When Kinga Surma moved eight kilometres to a new home, her auto insurance rate went up by $80 a month. “I wasn’t moving very far away,” Surma, Progressive Conservative MPP for the Toronto riding of Etobicoke Centre, told the Ontario legislature last week during debate on Bill 42. If passed into law, Bill 42 would prohibit auto insurers from using postal code or area code as a primary factor in setting auto rates. It would rescind Financial Services Commission of Ontario bulletin A-01/05, said Parm Gill, the backbench Progressive Conservative MPP who sponsored Bill 42. “A key component to this bulletin mandates that insurance companies divide the province up to a maximum of 55 territories, up to 10 of which can be in the city of Toronto alone. We can already see how this is an issue, as it forces clusters of large areas to be grouped together simply based on geography; thus the term ‘postal code discrimination’” said Gill. Bill 42 passed second reading March 21 and is now before the Standing Committee on Finance and Economic Affairs. “Bramptonians have been unfairly targeted just because of where they live. This is unacceptable. For far too long, governments and legislation have overlooked this issue,” said Prabmeet Singh Sarkaria, PC MPP for Brampton South. Bill 42 was supported by both government PC MPPs and by New Democratic party MPPs. But some opposition politicians had reservations. “The Conservative bill will only prohibit insurance companies from charging drivers based on factors primarily related to postal code or telephone area code. The use of ‘primarily’ is not defined in the bill, and, quite frankly, it’s vague and will not be enforceable,” said NDP auto insurance critic Gurratan Singh, who represents Brampton East. 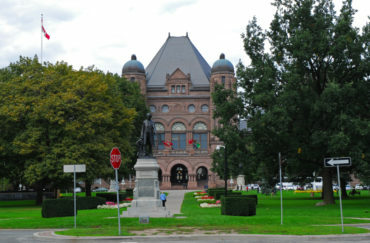 Bill 44, tabled by Singh last year, proposed that the Greater Toronto Area be considered one single territory for the purpose of determining auto insurance premiums. That bill was defeated. Bill 42 would require Ontario auto insurers to use a driver’s records as the primary factor when calculating insurance premiums, Gill said. One of Gill’s constituents – identified by Gill as “Mark” – realized on renewing his home and auto coverage that the last number in his postal code was incorrect on his insurance policy documents. After correcting the error, Mark’s auto premium jumped by $500 a year, Gill said. “Mark said that the postal code he had mistakenly been using for years was literally three houses down the street and across the road from where he lives. No one can argue that risk changes by $500 just 150 yards apart,” said Gill.